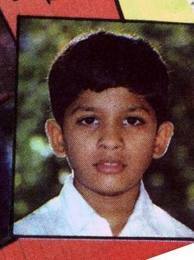 Producer Allu Aravind is the father of Allu rjun. Telugu Super Star Chiranjeevi and Pawan Kalyan his uncles. He also act with his uncle Chiranjeevi's film, "Shankar Dada Zindabad" has a guest. Allu Arjun first singing the song is Prapancham Naventostunte in 'Vedam'. He drink egg yolks for breakfast. He's married to Sneha Reddy on March 6,2011. The movie "Badhrinaadh" will be releasing on March 27, 2011. .
2004 :Santosham Best Young Performers Award for movie "Arya". 2004 :Nandi Award for Special Jury in Arya. 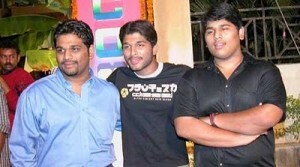 2005 :Santosham Best Young Performers Award for movie "Bunny". 2008 :Filmfare Best Telugu Actor Award for Parugu. 2008 :Nandi Special Jury Award formovie "Parugu". 2009 :Nominated, Filmfare Best Telugu Actor Award for Arya 2. I am one of ur fans. I like your style very much.I hav seen your film ARYA 2 several times.It's really superb. this is anudita,i m one of ur great fan,i luv u so much...,i hav seen all ur movies!!!!!!!!! luv ur movies all! you are the excellent star............. i am your biggggg fan.... you should try the bollywood........... i think you are blasting in bollywood. I am once of biggest fan for you. 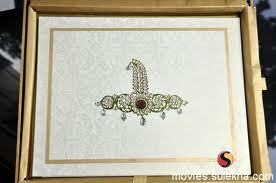 I saw all your movies, i like your dance veryyyyyyy muchhhhhhhhhhhh. you are the real dancer, after Michel you are the next while dancing your style and everything is good not repeated dance. Hey bunny I love your movies. I have watched all your movies.